after battling cervical cancer, sources has confirmed. 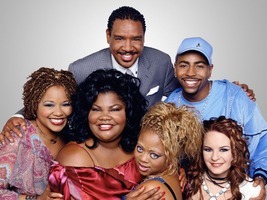 Wilson, played Moesha's friend Andell Wilkerson through 5 seasons of the hit show -- and she played the same role in the spinoff "The Parkers." Wilson's cancer was Stage 4 when she passed away. Her "Moesha" co-star Shar Jackson tweeted, "F*ck Cancer!!!!!!!!!!!!!!!!!!!!!!!!!!!!! Oh God. My heart is soooo unbelievably broken. I wanna thank all my tweeties for their prayers but God has chosen to take my sister Yvette home."